Riverland Resort has made it possible . . . 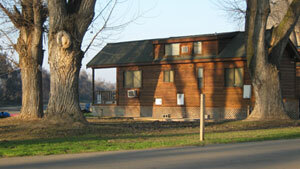 Enjoy vacation living in a resort setting at an affordable price. 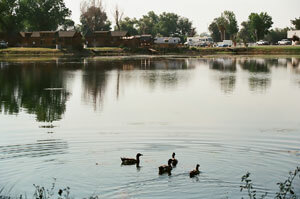 We offer leases on our river and lake front lots. We have several customizable lot leasing options including a furnished cabin with normal household amenities such as refrigerator, stove, microwave, full bath, surround sound, other options include outside BBQ, fire pit, and floating dock. Prices vary depending on the site and lease term. All leases have a maintenance fee per month. This includes water, sewer pumping, garbage, all up keep of the pool, jacuzzi, fishing lake, game room , business center, event center, front and rear gates, laundry facility, all grounds, and maintenance in the common areas of the resort. Our friendly staff is waiting to hear from you. They are ready and more than willing to show you how vacation living can be affordable.